The kingdom of darkness gets its power from our ignorance. I cannot emphasize that enough. Once again, I am emphasizing the Words that the Lord God stated to Israel through Hosea His representative: My people are destroyed for lack of knowledge. Because you have rejected knowledge, I also will reject you from being priest for Me; Because you have forgotten the law of your God, I also will forget your children. Notice He stated that they rejected knowledge. What knowledge is He speaking of? The Knowledge of Himself. This is why Jesus made this statement: But seek first the kingdom of God and His righteousness, and all these things shall be added to you. The truth that we are ignorant of, cannot protect us against Lucifer's deception. Our ignorance is the devil's playground. This is why we must devote ourselves to studying, learning, experiencing and living the Lord God's principles through His Word. Remember, if we reject Jesus the Christ, we reject His Word. And the Word became flesh and dwelt among us, and we beheld His glory, the glory as of the only begotten of the Father, full of grace and truth. 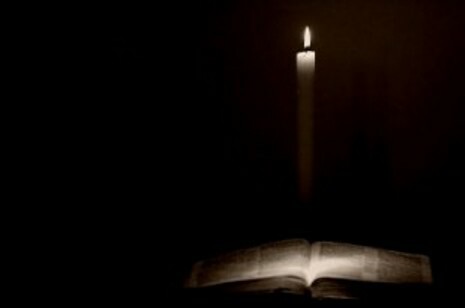 Keep in mind, the light of knowledge dispels the darkness of deception and ignorance; the light of truth destroys the darkness of lies and error. The Son of the living God (the Creator), who lives in eternity, went through the process of becoming human, with the limitations in time and space. Let this mind be in you which was also in Christ Jesus, who, being in the form of God, did not consider it robbery to be equal with God, but made Himself of no reputation, taking the form of a bondservant, and coming in the likeness of men. And being found in appearance as a man, He humbled Himself and became obedient to the point of death, even the death of the cross. This is the knowledge that we should possess, not from a religious concept, but from a Kingdom concept. He (the Lord God) became human through His Son. There was nothing of His essential nature that was lost in this event, because He is God. Please note: The author John uses the word flesh to refer to the physical nature of mankind (humans), not for our disobedient disposition (sinful nature). Lucifer hates the Word of the King (God). He has no weapon that can hold up against it. Whenever the Kingdom message is taught or proclaimed, Lucifer immediately attempts to steal it away or to blind and confuse people's minds so that they do not understand and believe. As ruler of the kingdom of darkness, Lucifer fears the light, (truth of God's Word, which is the Kingdom concept). He is afraid of those with a Kingdom mindset, because as Kingdom citizens in good standing, we are Believers of the light. We possess and display in our lives, an effective way of living in our mindset and behavior here on planet earth. The way His culture is shared is through our lives. Those of us who are obedient to His Word receive the Holy Spirit to live a victorious life. And we are His witnesses to these things, and so also is the Holy Spirit whom God has given to those who obey Him.